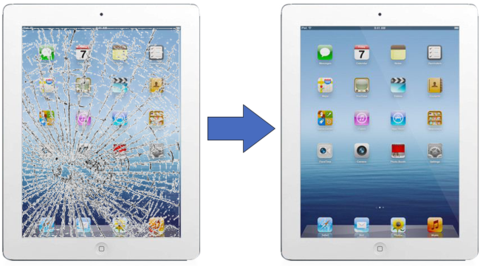 Do you have a cracked iPad that you would like to fix? We offer same day professional and affordable services in Hamilton with 12 Months warranty. If your iPad is not functioning properly or want any advice regarding repair or parts – Please give us a call or come and see one of our friendly staff. We will assist you with our best knowledge and experience to get in the right direction. Our Local techs in Hamilton can repair your iPad and iPhone anytime at two different locations. Call us now for a free online quote on 07 838 2800 on for fast computer repair in Hamilton with a 12mth warranty! Let’s talk about what’s on your mind. We can help. Call centre operated out of Hamilton, New Zealand. We offer an economical, secured and effective computer or laptop online support for your home or business computer. 1 to 50 seats. Improve productivity for your home and business. We offer cloud solutions, Network infrastructure monitoring and management. HP, Acer, Lenovo, Asus, Dell, Apple, Microsoft, Samsung and more. Hamilton, Tauranga, Te Puna, Pyes Pa, Te Puke, Cambridge, Te Awamutu, Taupo, Tokoroa, Raglan, Matamata, Huntly, Morrinsville, Te Kuiti, Otorohanga, Ngaruawahia, Putaruru, Claudelands, Maeroa, Frankton, Dinsdale, Melville, Fitzroy, Deanwell, Glenview, Hillcrest, Silverdale, Fairview Downs, Fairfield, Nawton, Rotokauri, Beerescourt, Enderly, Chartwell, Queenwood, Te Rapa, Pukete, Flagstaff, Rototuna. I consent to Millennium Technology collecting my details through this form. We are glad that you preferred to contact us. Please fill our short form and one of our friendly team members will contact you as soon as possible.